InteliCare • Quality of life. Peace of mind. The InteliCare solution is designed to support people to remain in an independent living environment for longer, whether this be within their own home, a retirement village or in an aged care facility. InteliCare provides family and care givers a real-time view of the well-being of people in an independent living environment. This real-time view and the ability for family to be informed and act when something may be wrong reduces potential risks for seniors or people with disability living at home alone. InteliCare uses data from in “smart” sensors to build a model of normal domestic routine within a home. An early view of deviations from routine may indicate a health or wellbeing issue, that when addressed will avoid complications leading to potential future higher levels of care. A range of sensors and “insights” can be activated to address the risks associated with ageing or other situations and provide family and carers with information to guide conversations that may address issues before they escalate into health or safety problems. InteliCare is an Australian-based initiative, aiming to address the personal, social, economic and geographic challenges faced by our ageing population. Our goal is to provide a solution that supports an ageing person’s decision to remain living at home for as long as possible and, in doing so, retain their well-deserved dignity and comfort. Too often, the reason for transitioning to residential care revolves around fear – fear of something unwitnessed being missed, fear of a medical event or fear of a fall. Because of these fearful concerns, family members and individuals alike, consider continuing to live in their own home as too great a risk. InteliCare, in this instance, aims to minimise, better yet, eliminate, this risk. It is a low-cost, subscription service app for care providers and families that can sense a wide range of in-home activity and therefore can detect unusual occurrences. By detecting whether there may be a problem in real-time, out-of-home caregivers can be alerted immediately and all of those fears can be allayed. If InteliCare detects a potential incident it also provides an ability for carers or family to “call in” to the home should the resident be unable to answer the phone. This can help assess the need for assistance and provide reassurance that help is on the way. InteliCare has been designed from the ground up with a focus on security, reliability and flexibility. As technology advances, InteliCare has the ability to adapt and evolve alongside our increasingly tech savvy and connected ageing population without compromising the security or privacy of our digital-family. InteliCare has been designed from the ground up with a focus on security, reliability and flexibility. 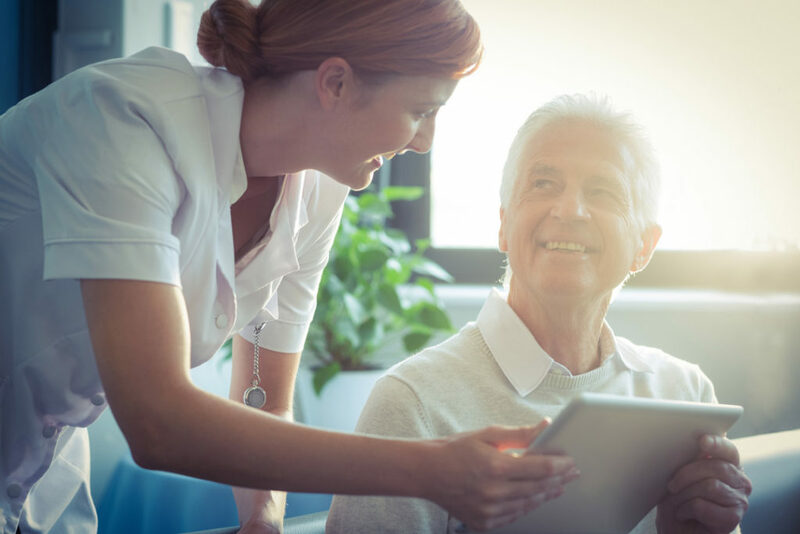 InteliCare has developed a superior proprietary technology platform designed to support people to remain in an independent living environment for longer. We provide family and care givers a real-time view of the well-being of people using “smart” sensors. Our technology supports higher levels of care and greater efficiency in its delivery. We have a demonstrated ability to improve wellbeing and quality of life for seniors and family. We facilitate the elderly’s desire to live at home longer and use technology to relieve the growing burden and cost of aged care in society. For seniors and families where the primary care giver is family, friend or community. For Care Providers as a integrated service offering where they are the primary care giver and manage the service end to end.